Great Home in a Great Location with Award Winning Schools! Interior Features Gorgeous and Updated! 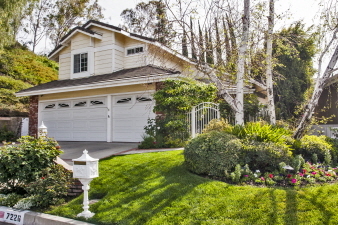 This charming home is located in one of the most desireable neighborhoods in West Hills, Spacious and Bright. Master Suite with Hillside View. Spacious Family Bedrooms. Updated Kitchen with Breakfast Area. Granite, Stainless Steel Appliances. Refrigerator Included. Custom Shuttered Windows. Laundry Room, Half-Bath Downstairs, Family Room with Fireplace and Slider to Patio Yard. Exterior Features Gated Front Yard leads to Covered Entry into the house. Fruit Tree, Fragrant Flowering Plants. Cul De Sac location with Views of Planted Hillsides.